Japanese Dragonscale is also known as Scale of the Orient and you will love how it looks and feels. 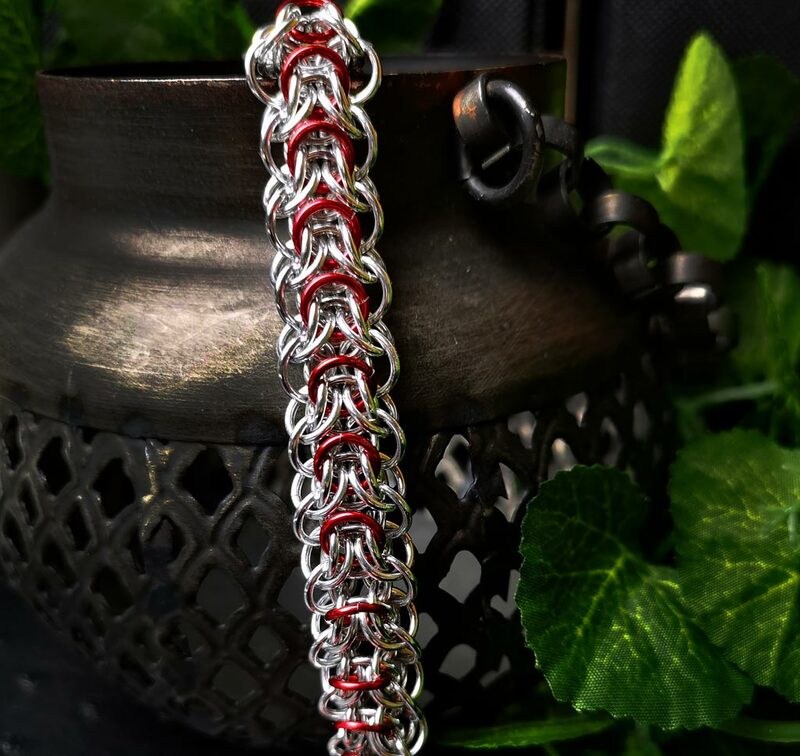 Pick this workshop and Cassandra will show you how to make this distinctly Japanese weave. If you have a few weaves under your belt then you should be able to follow this. We all love flowers and you will find that these Scale Flowers are no exception. You may have seen these on the internet before and now you can learn how they are made. 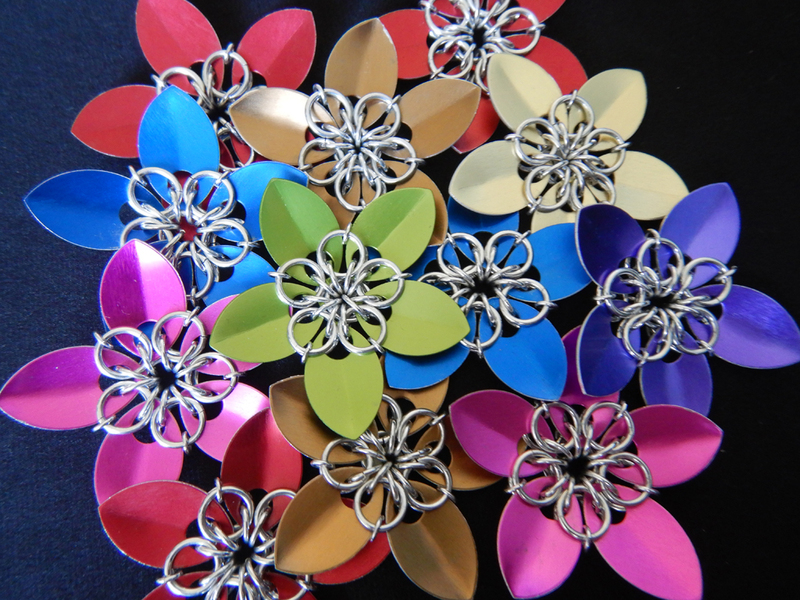 In this workshop you will get to make multiple flowers of different colours. This is a good class for a new chain mailler. 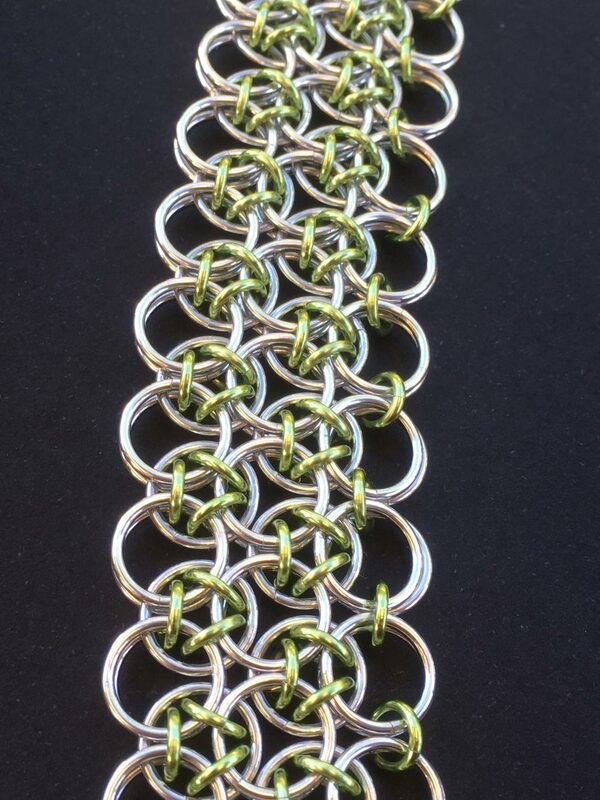 Since you will be in the Blue Mountains, it only seems right to make this wonderful Elf weave variant. 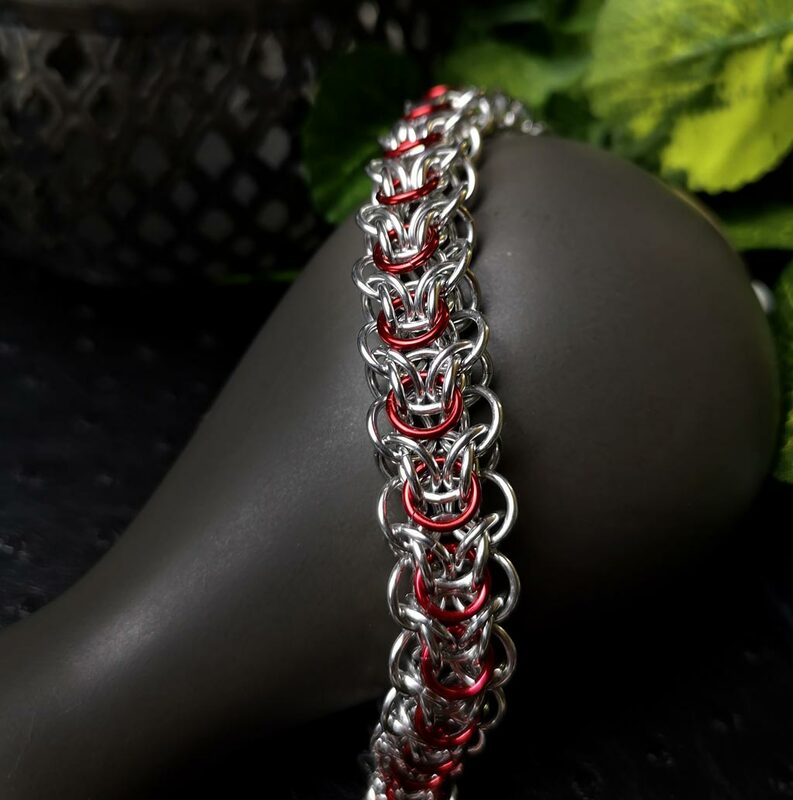 Join Deb in this workshop and she will show you how to make Mountain Elf into a wonderful bracelet. 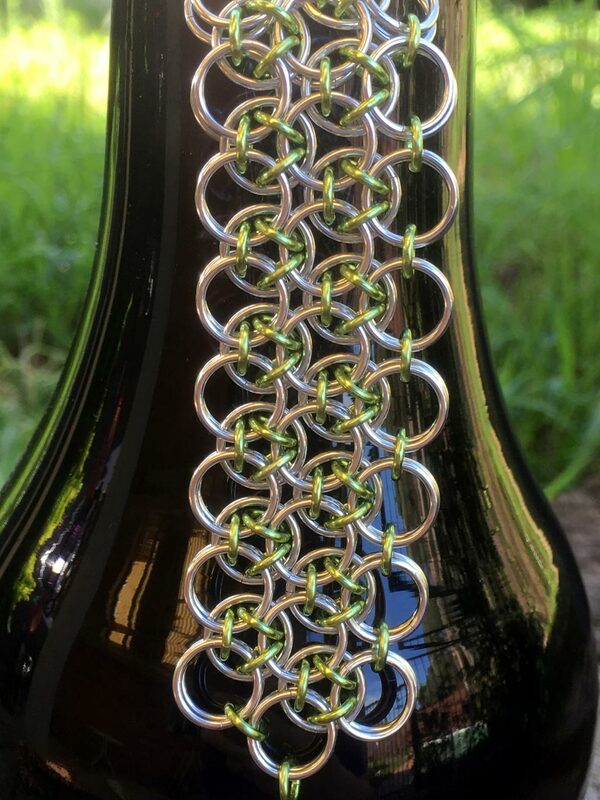 This intermediate weave is not for someone new to chain maille.